Built with the help of lottery funding for the turn of the millennium, the Lowry is dedicated to the work of the famous northern artist L.S. Lowry. The impressive building has quickly become the home of avant-garde performances and exhibitions including thought-provoking pieces that often push against artistic boundaries. 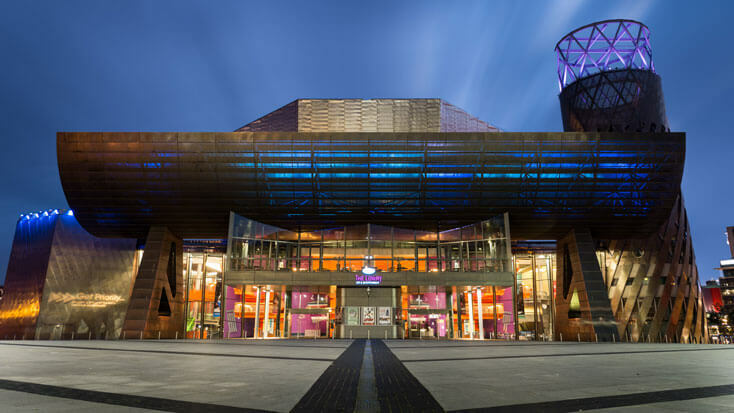 As it’s only a short tram journey from the centre of town and surrounded by the bustling restaurants and shops of the Salford waterfront, a visit to the Lowry is a fantastic family-friendly day out.